✅ 10. Friendly recommend several vr content websites: YouTube.com; Jauntvr.com; 360heros.com; LittleStar.com; Discoveryvr.com; Wavrp.com; ✅ 11. 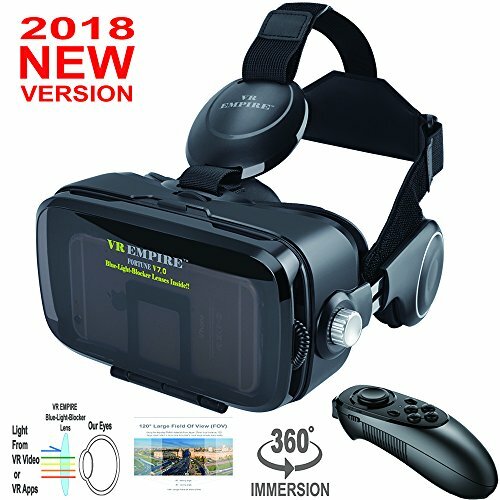 VR EMPIRE headset is the only one with Anti-blue light lenses in amazon market, our eyes could be protected from harmful blue light emitted from all mobile screens. ✅12. The remote is just an aid to remotely control mobile when mobile is in the vr headset and is not easy to touch with hands, it could not control all games or vr games. Thank you.